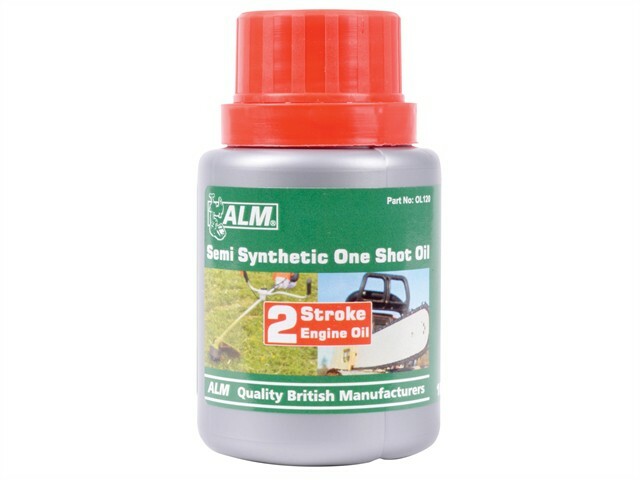 The ALM Manufacturing OL120 One Shot Bottle is a semi synthetic low smoke 2 stroke oil, specially formulated for garden machinery including hover mowers, grass trimmers, brushcutters, chainsaws, hedge trimmers and garden vacuums. Eliminates the guesswork ensuring engine is properly lubricated. Just mix the whole bottle into a 5 litre fuel can for an accurate 50:1 mixture.